What are you looking for when purchasing the best yoga mat for hot yoga? Safety? Comfort? Style? In this article, we will cover the best mats for your sweating yoga time that check all the boxes. Ready for your success with practicing hot yoga? Let’s dive in. Can I use a regular yoga mat for hot yoga? How do I clean a yoga mat after hot yoga? – Thickness: The thicker the mat, the more cushioning you will have. This is also the most important thing for your comfort in yoga class. The standard thickness for a mat in hot yoga class is about 8 mm. – Structure: Because practitioners in yoga classes tend to sweat a lot, so you tend to benefit more from a closed-shell structure. It won’t absorb too much moisture and will stay sticky even when you are dripping. – Absorption: The absorbent hybrid mats are specially designed for hot yoga. They tend to be stickier when wet, and easier to clean. Their absorption rate is also slower than regular mats. However, this feature makes them unhelpful for other types of yoga. The BetterGrip yoga mat has 6mm of additional thickness. The extra thickness makes it ideal for people with joint problems, or are careful about their knees and elbow. One great thing about the BetterGrip mat is that it is extra large, at 72″ long x 25 1/4 ” wide, so it’s suitable for even taller people. However, the weight is light, so you can bring it wherever! What’s more, the wavy underside ensures that the mat stays all on the ground even with rigorous movements. This mat also has the closed-shell structure that locks out germ, dirt or moisture. So you won’t have to worry about mildew or bacteria in your sweating sessions. 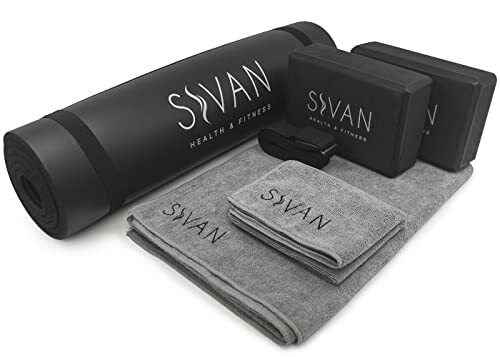 More than just a yoga mat, the Sivan Health & Fitness Yoga set also comes with two additional yoga blocks, one yoga mat towel (which will assist you greatly in hot yoga classes), one yoga hand towel and one yoga strap. Much like the previous one, this one also has enhanced length, width, and thickness. You will surely have a lot of comfort practicing with the set. Beginners for hot yoga can get better support and balance with the blocks and strap that come in the bundle. The feature that makes this set so well-loved by hot yoga practitioner is that it has a 68″x24″ mat towel. This floor towel helps to absorb the sweat from your body in your classes. It also enhances grip for difficult moves. The mat towel, along with the hand towel, has prime absorption ability and microfiber technology. They would have cost a small fortune if bought separately, which makes this even bigger a deal. If the Sivan set puts its advantage in the separate towel, then Aurorae boasts as the best non-slip yoga mat with the advanced technology that combines the best of both worlds in one special hot yoga mat. There will be no slipping, no bunching because the towel and the mat are bonded together in this one. What’s more, the wetter this mat (and your class) gets, the more grip you will have with your pose. It is made with complexity, yet easy to use and care for. Because the manufacturer of this product, is a small family business, so you can expect more quality and individuality in the product. Different from the Synergy hot yoga mat, the mat from Manduka is designed for general yoga practices. However, hot yoga practitioner will benefit a lot from the high-density cushion. It offers unmatched support and balance, the two most important aspects of hot yoga. In comparison with other mats in this list, Manduka claims a more vibrant collection of color and patents. You can show off your own style, even in a mutual activity like Hot yoga classes. The mat has two sizes: standard and extra long, so make sure that you choose one according to your size. Jade Harmony is an eco-friendly company that wins its customers by high-quality yet natural materials. 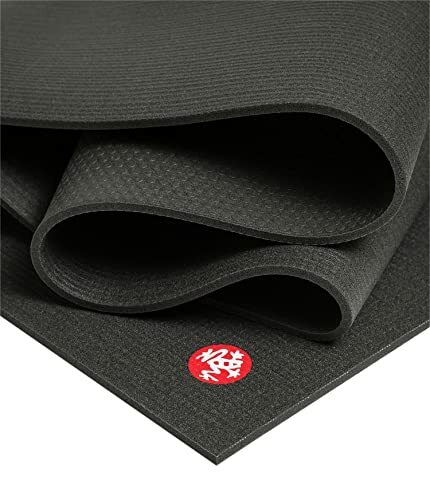 This one best hot yoga mat is made of natural rubber. Even though the open cell nature makes its cleaning task a bit more tedious, the resilience and cushioning can pay that off quite well. 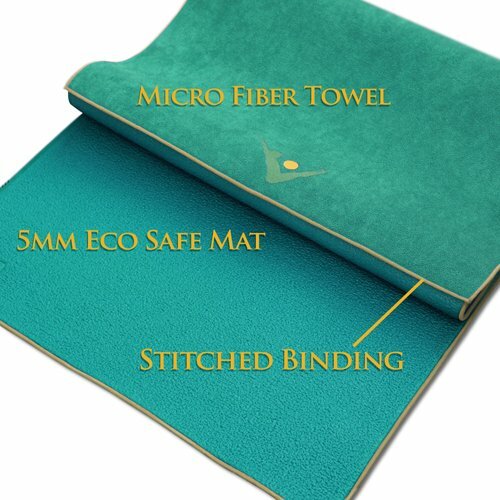 The mat is made 100% in the US, with a renewable source, and no synthetic or harmful plastics. You don’t have to worry anymore about inhaling toxins in Downward Dog or Crow Pose. One special thing: because eco-friendliness is a winner for this mat, so JadeYoga has proposed to plant a tree for every one of this mat sold. You can contribute to the wellness of yourself and the Planet, just by using this one. The best hot yoga mat can absorb and retain a lot of moisture. In contrast, regular yoga mats tend to absorb moisture quickly, but they can’t keep a lot of moisture inside. That’s the reason why they’re more slippery when wet. If you want to use a regular yoga mat for hot yoga, then you must bring an additional towel to wipe dry the mat. 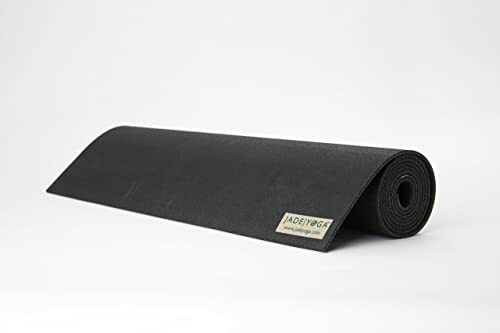 For the thickness of the best hot yoga mat for hot yoga, you want something thick enough to cushion your joints, but not too thick. Actually, rather than the thickness, you should focus on the density of the material. The denser the material, the better. Such materials give you superior support and balance. A thick yet squishy mat will make your indent too far and lose grip. Cleaning the hot yoga mats is different from conventional ones. If you use close-shell mats, then they won’t absorb dirt, bacteria or sweat into themselves. Which means you can just spray and wipe the mat clean. 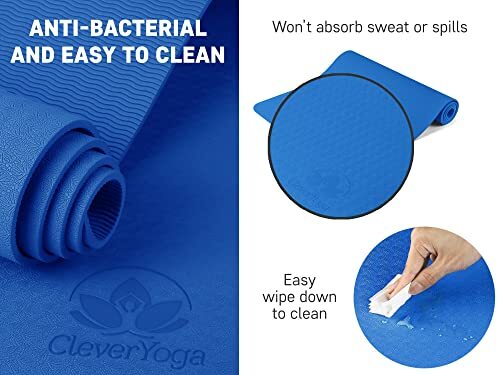 On the other hand, if you use open-cell mats, the environments in the hot yoga classes will make the bacteria thrives. You can only get around by cleaning it after every class, using a good mat cleaner, and deep clean once every week. Caption: Learn how to make yoga mat cleaner spray by yourself. There are many tops of the hill mat for hot yoga out there, many of which can be classified as the best hot yoga mat. However, no matter how good your accessory is, you still need to break into it by practice, practice and more practice. Make sure that you share a lot of fun time with the mat, and may all the wellness be with you. Namaste!